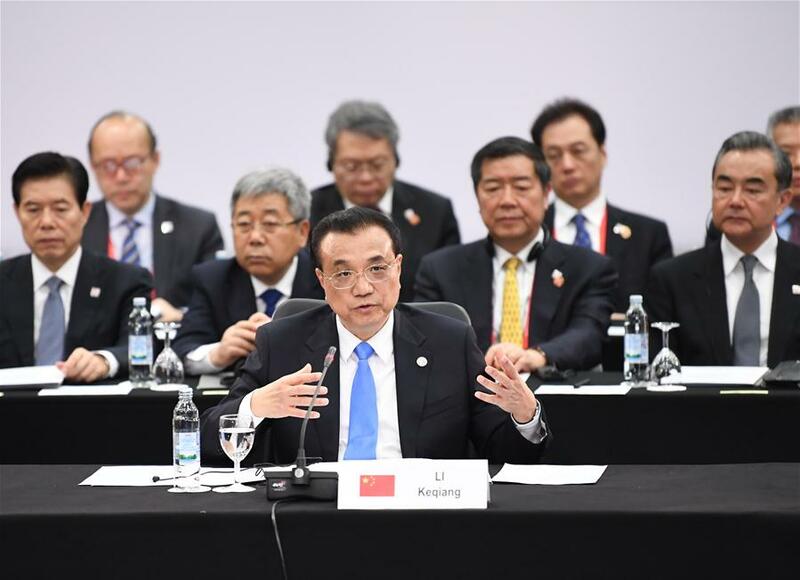 DUBROVNIK, Croatia, April 12 (Xinhua) -- Chinese Premier Li Keqiang on Friday proposed a series of measures to promote cooperation between China and Central and Eastern European Countries (CEECs). Members of the mechanism stick to the principles of mutual respect and equal treatment, uphold the spirit of openness and inclusiveness, follow international rules and EU laws and regulations, and respect the responsibilities and obligations that EU members among the 16 CEECs need to fulfill, Li said. The cooperation mechanism attaches equal importance to trade and investment, and combines economic cooperation with people-to-people exchanges, having not only promoted common development but also facilitated Europe's balanced development, said Li. The mechanism has become a major pillar for China-EU comprehensive cooperation, he added. Noting that the leaders' meeting takes "Building new bridges through openness, innovation and partnership" as its theme, Li called for making the bridge of openness broader, the bridge of innovation clearer, and the bridge of partnership more solid. Calling for stepped-up efforts to conduct people-to-people exchanges, Li said China and the CEECs should take the Year of Education and Youth Exchange as an opportunity to enhance exchanges and cooperation among universities and colleges and promote mutual understanding and friendship between young people. Announcing that China will host the ninth China-CEEC leaders' meeting in 2020, Li said he expects CEEC leaders to attend the meeting and jointly sketch out a new blueprint for the China-CEEC cooperation. Greece was accepted as a full member of the China-CEEC cooperation mechanism, according to a decision made by the meeting. As a cross-regional cooperation platform, the China-CEEC cooperation mechanism now serves as an important part of and a beneficial supplement to the China-EU cooperation, Li said.